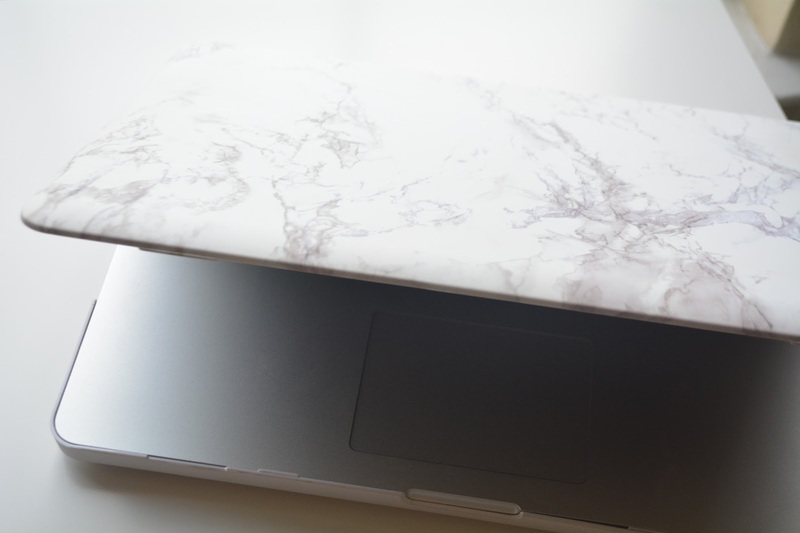 Something I have had on my Christmas List is a marble laptop case. I have seen these all over the blogger world and I just think not only are they super cute but they're classy. They sort of have this grown-up look also. Plus, they're so preeeetttty. I mean how could you not take tons of stock photos with this bad boy? 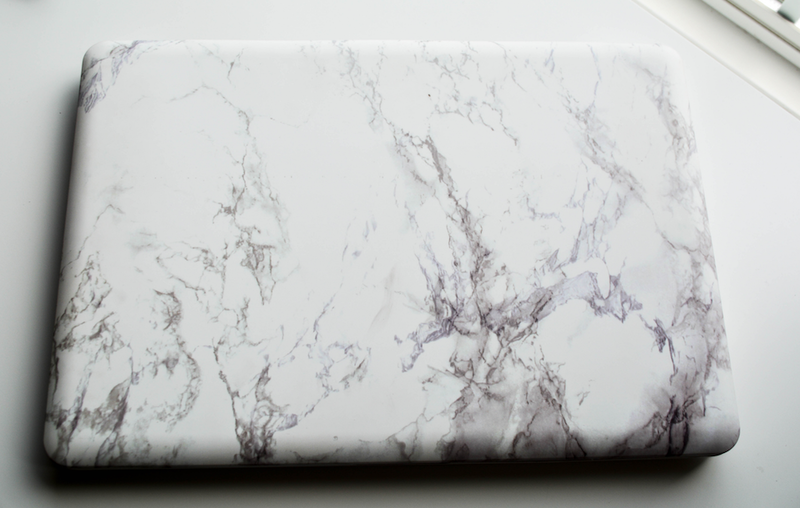 So, for my birthday my best friend swooped in and saved the day when she got me a hardtop (top and bottom) marble laptop case for my Macbook Pro. I absolutely love it! 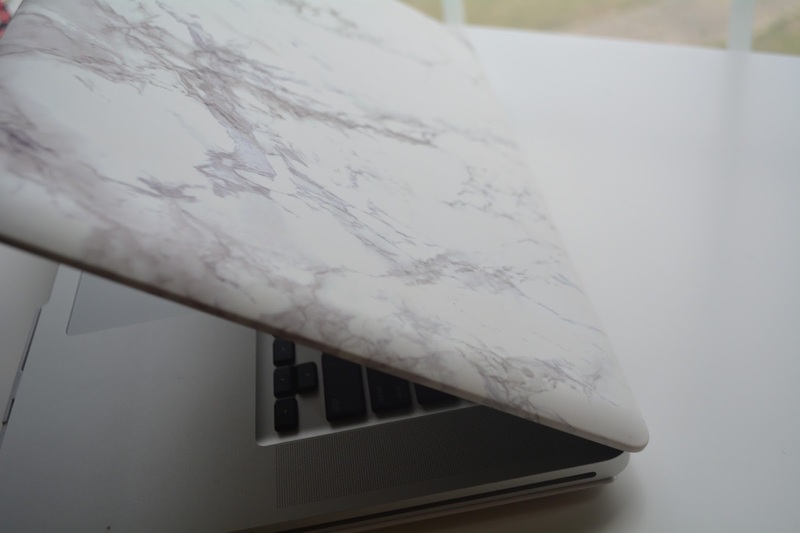 It's hardtop which is way better than a sticker for the laptop, because it protects your laptop a little bit more. Which is good for me because I take my lap top EVERYWHERE. So there's definitely a benefit with protecting my laptop a bit more because it definitely gets some bumps and bruises now and then. I love my fabulous laptop. Thanks so much Rocio!